Ownfone hit the news earlier this year, as the first company to design a mobile phone specifically at younger children. As the name would suggest, it is intended to act as a kids first phone, and the company have today announced a new design, making it even simpler for kids to navigate. The Ownfone update replaces their old system, which used words rather than numbers. So if your child needed to call home, they could just hit the ‘home’ button, rather than having to punch in a number. Ditto for ‘mummy’ and ‘daddy’ – you get the picture. The new update is in tended to make the system even more intuitive, replacing the words with pictures. So rather than having to press ‘mummy’, the child can just press a picture of their mum. The parent therefore sets the Ownfone up with a pre-asigned number for each picture. As a ise benefit to 1stfone, your children are protected from accessing the internet (because the phone does not have a web browser) and due to the phone not even having a screen, no inapropriate images can be text to the child. 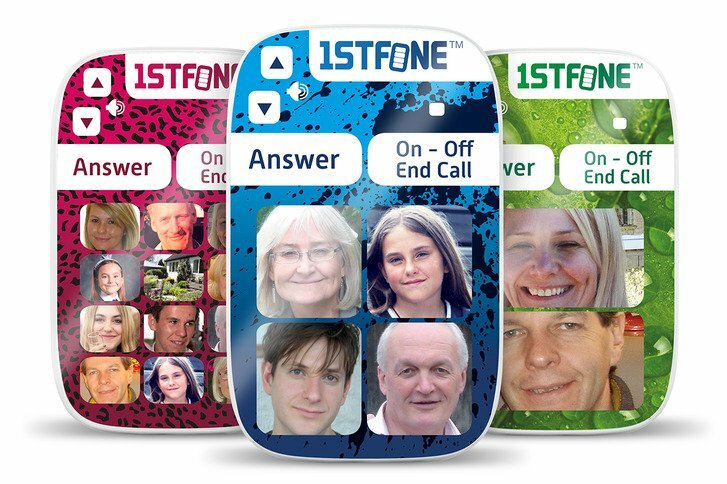 Ownfone are also looking to target the elderly market with this phone, o n the premise that it is easier to remember somebody’s face as opposed to their number. Want to get hold of an Ownfone 1stfone? They start at £50 and the price you pay depends how many buttons you will require. Naturally, the more buttons, the more you pay. It is available on 30-day rolling contracts, pay-as-you-go or with paid in advance bundles for six and 12 months. NB, As the phone face needs to be printed to order, you can only buy one from myownfone.com. Next articleNintendo Wii U: Have tablets killed Nintendos flagship console?